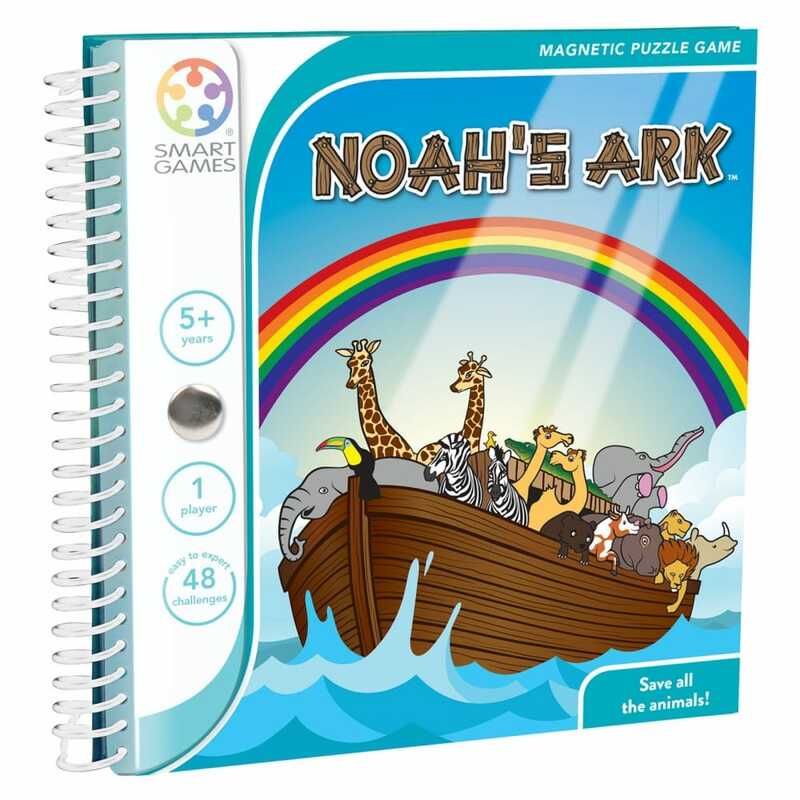 Help Noah and put all his animals on the right spot in the Ark, All animals must get to their place in the ark - each side by side, in pairs, so all species stay together. Arrange the puzzles pieces to ensure that all 10 animals have their feet on the floorboards, and that everyone is stationed on the boat! Contents: Booklet with magnetic grid, challenges and solutions, 10 puzzle pieces with animals.